The spring is actually a great time to complete your snow thrower spring maintenance. You have just finished the season and the repairs you need to make are at the top of your to do list. For example, draining old gasoline out of the fuel system now will prevent it gumming up the carburetor and filters. In addition, combining your snow thrower maintenance with preparing your lawn mower for the summer lets you complete two jobs at the same time. Both can be accomplished more efficiently. Now is the time to get this work done so you do not have to do it in the fall once it gets cold again. 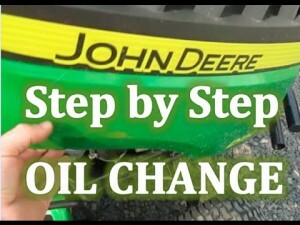 The picture shows a John Deere engine. However these tips apply to all small engines that are used on a seasonal basis. The following steps and tips will help you with your spring maintenance.